Truckloads of bulk rock salt and SnowSlicer (pdf brochure) are available for delivery anywhere in Illinois or Northwest Indiana. 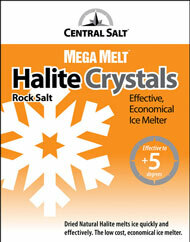 BIOMELT® is an ice melt product formulated with a blend of rock salt and a specially engineered product made from Corn. This unique blend is environmentally friendly and extremely effective at low temperatures. BIOMELT® will melt more snow and ice than rock salt. BIOMELT® is less corrosive than rock salt. BIOMELT® product is colored for easy visibility where applied. 4-way proprietary blend of premier ice-melting components. ECOSALT is treated with GEOMELT® 55 Liquid Organic Accelerator natural agriculture product that features snow and ice control performance superior to traditional rock salt, but is less corrosive to equipment and environment. ECOSALT effective working temperature -20°F will reduce salt consumption by 30% increasing equipment and employee efficiency. GEOMELT® S Anti-icing/Deicing fluid is a natural agricultural product derived from renewable resources and blended with sodium chloride brine that features snow and ice control performance superior to traditional brines, but less corrosive. GEOMELT® S will reduce salt application rates by ~30% and substantially reduce operating costs while providing a sustainable and environmentally sensitive alternative. The boring power of new MAG pellets means even faster, more effective ice melting as safe and kind to the environment as familiar MAG flakes. MAG is magnesium chloride, which melts effectively down to -13 degrees Fahrenheit, (-25 degrees Celsius), well below common ice melters. Plus, tests have shown 26 times less concrete spalling with MAG than with other common ice melters. Safer for vegetation, pets and people. Less toxic than even baking soda and common table salt. Halite crystals is produced at our Lyons, Kansas salt mine. 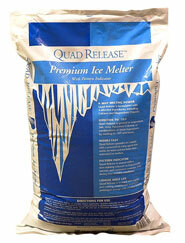 This fast-acting, snow and ice melter is economical and easy to apply. Halite crystals leaves no oily residue. Halite crystals is the naturally occurring mineral form of sodium chloride, or NaCL. Like many of Central Salt's other deicing salts, the isometric crystals are extracted from one of the Midwest's richest beds of evaporates. Mechanized mining employs mobile equipment and conveyors to blast, load and move the crystals to the surface. Particles are then crushed and screened to specifications to provide halite crystal's signature melting properties. Sodium chloride melts ice at temperatures down to its eutectic point of -6° F (-21° C). And because the most important variable of a deicer's effectiveness is not air temperature but pavement temperature, rock salt continues to be an effective deicer in many US locations through most of the winter season. Mega Melt ProSlicer is a high performance, treated rock salt. 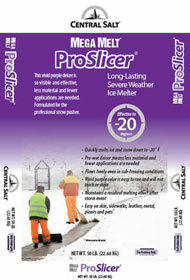 Mega Melt ProSlicer is one of the best values in pre-treated deicers available. In fact, users have reported reducing their total chemical usage by up to 30 percent. Pre-treated with a liquid deicer, Mega Melt ProSlicer lowers rock salt's freezing point and eliminates the bounce usually associated with applying dry rock salt. Mega Melt ProSlicer is also treated with a carbohydrate that reduces corrosion. Safter on skin, sidewalks, leather, metal, plants, and pets when used as directed. 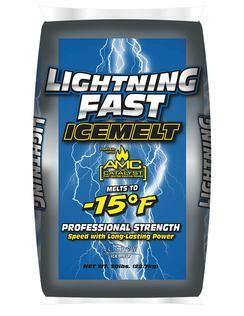 MELT ICE FAST WITH LIGHTNING FAST AND AMC! This blend is built on three high speed additives: magnesium chloride, calcium chloride, and AMC (AMC is the catalyst that ignites melting power). These three ingredients jumpstart the melting process even when temperatures drop to -15 degrees F.
After the fast acting materials within the blend melt ice immediately, it then provides long-lasting effects for hours after initial application. LIGHTNING FAST Ice Melt works for extended periods of time therefore reducing the need to reapply product. LIGHTNING FAST is also dyed, making it is easy to see where and how much product has been placed. Contains AMC for a fast, effective melting action. 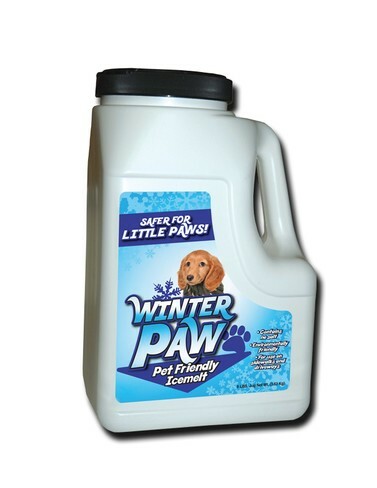 Starts working instantly upon contact with ice and snow and is effective to -15 Degrees F.
3-Chloride blend that delivers safety with fast melting action and long lasting effects. Get superior results with less product applied. Consistent particle sizing allows for easy spreading and consistent melting. Dyed for ease in application. Safe on concrete and treated wood when used as directed. Poly bag is among the thickest in the industry and protects the product from outside weather and humidity. Your only All-In-One ice melt product. High performance ice melt designed for commercial and industrial applications. 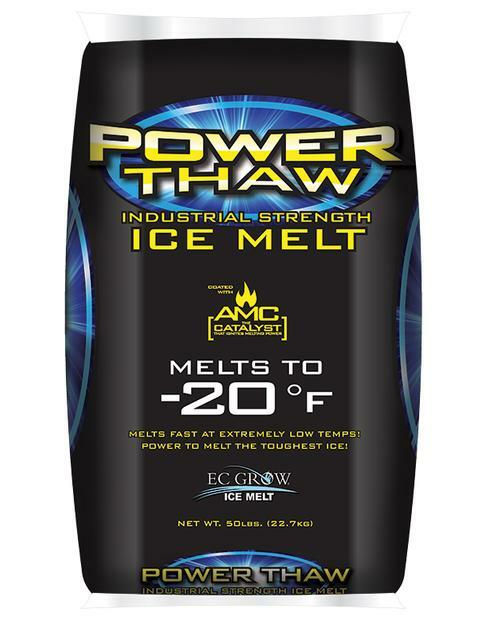 Power Thaw is powerful ice melt features a unique 5-ingredient combination to provide fast industry leading ice melting performance. 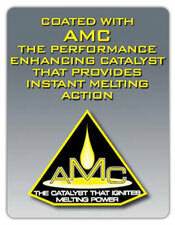 Calcium and Magnesium Chloride combine with AMC to assure the fastest and most effective ice and snow thaw available. 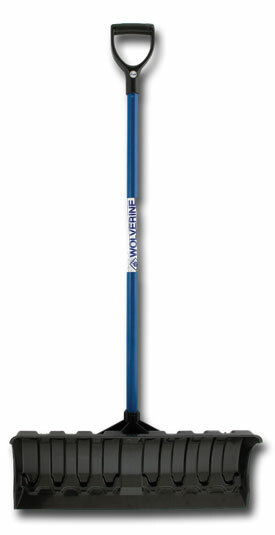 Power Thaw performs at temperatures as low as -20 degrees F. Power Thaw crystals are dyed blue for easy and efficient application and even ice coverage. 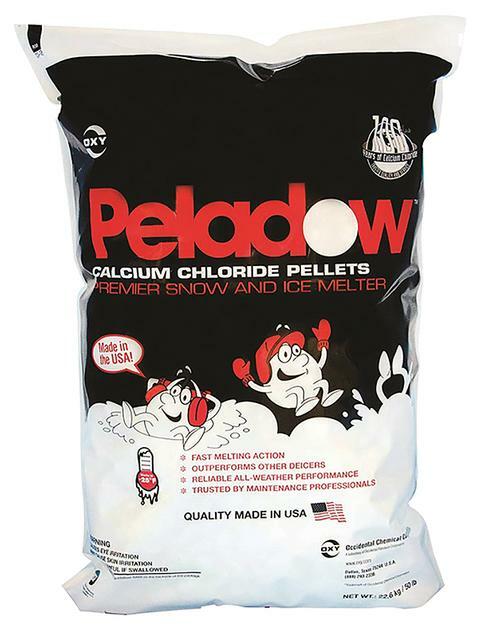 No other ice-melt product works on snow and ice better than PELADOW™ Calcium Chloride Pellets. Customer satisfaction, comparative performance tests and scientific research prove that it's the premier choice for ice melt. With its fast melting action and cold-temperature performance, PELADOW calcium chloride is easily distinguished from other ice melters. Formulated with four effective ingredients, including Calcium and Magnesium Chloride. Designed to outperform Salt, Urea, Potassium Chloride or combinations of these ingredients by melting to -10F and lower. Coated with a powerful de-icing agent that works on snow and ice faster than untreated ice melters. Coated with a non-staining colorant to help provide smooth and consistent coverage, even during low visibility conditions. Treated with organic anti-caking conditioner to provide prolonged storage with minimal clumping.